Bijoux - Diana Yacht Design B.V. 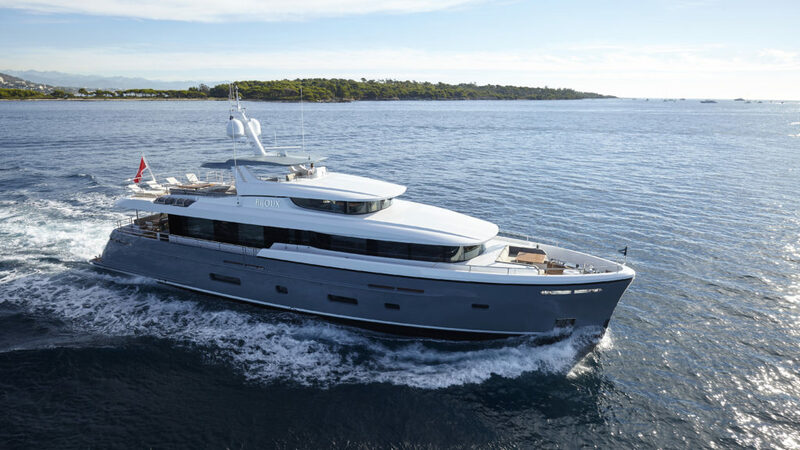 Launched just before the summer season of 2016 Bijoux is the first of the exciting new semi-custom Caribbean series built by Moonen Shipyards in the Netherlands. Once again Diana Yacht Design teamed up with the yard to create a masterpiece. 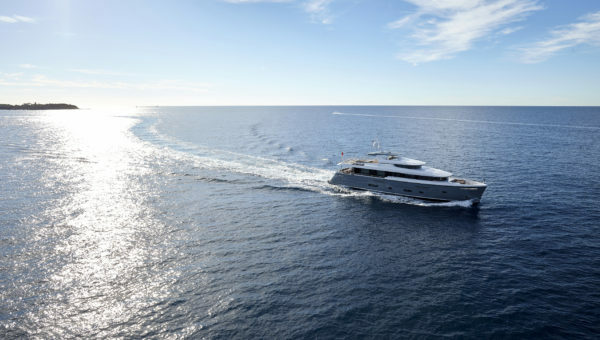 Bijoux is the first yacht in the new Moonen Caribbean series, she is a 30 metre long semi-custom, solid built yacht. 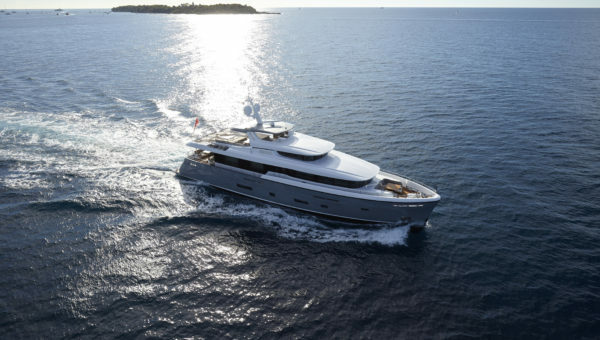 Her clean, bold lines designed by Rene van der Velden and modern grey and white color palette gives her an exciting and sporty look.The entire transom can be transformed into a giant hatch, which opens aft to form a large swimming platform. A fixed stairway on the starboard side connects this leisure area to the main deck. 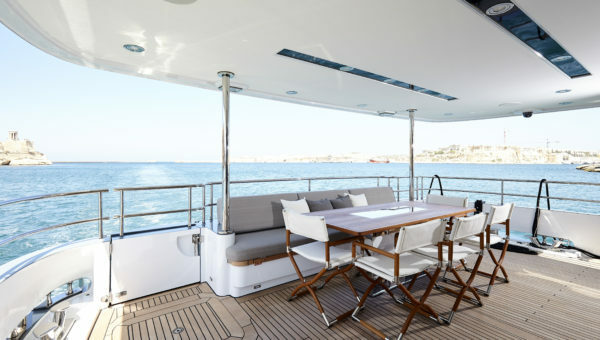 The large main aft deck is a lovely place for al fresco dining and is provided with a large dining table. Her contemporary interior with modern colors, clean lines, symmetry and lots of natural light creates a fresh environment. The four luxurious and comfortable guest cabins are located on the lower deck and have large en suites. The master suite, situated fore on the main deck has large windows that flood the area with light and give 180 degree views.The team of DIANA takes care of the complete naval architecture, engineering of hull and superstructure, ships diagram and 3D piping. Powered with two CAT C-18 engines she can reach 13 knots and has a range of 3300 nm.